Easily remove swirls, oxidation, etc. and make that paint really shine! 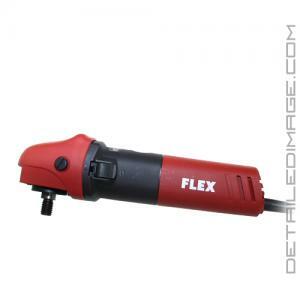 The FLEX PE 8 Kompakt Rotary Polisher is the perfect tool to polish areas other buffers just can't reach! When you are using a full size polisher those sharp curves and hard to reach areas are frustrating to say the least. 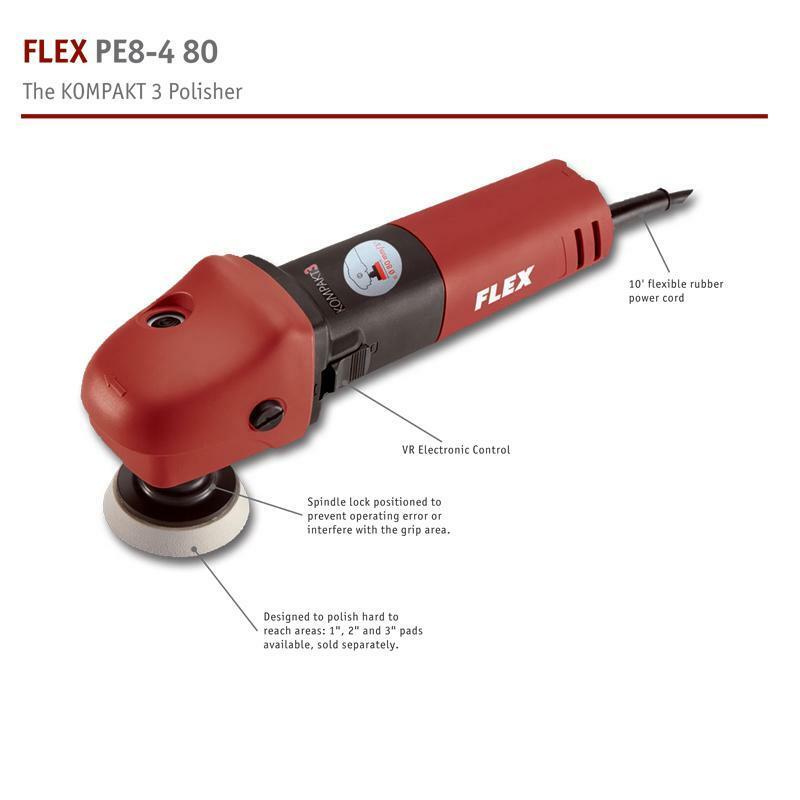 Wouldn't having a much smaller, lighter and "kompakt" polisher make your polishing steps that much easier? It can work with almost any size pad but specializes in 3" pads and smaller. The FLEX PE 8 measures roughly 12 inches long and it weighs only 4 pounds! The powerful 7.6 amp motor operates between 1,300 and 3,900 RPM while staying cool in the process. Whether you are removing oxidation, swirl marks or light scratches, this rotary polisher will allow you to do so with ease. Headlights, door handles, spoilers, grills, intricate curves, and much more are no match for the FLEX PE 8 Rotary Polisher! Note: Does NOT come with a backing plate. 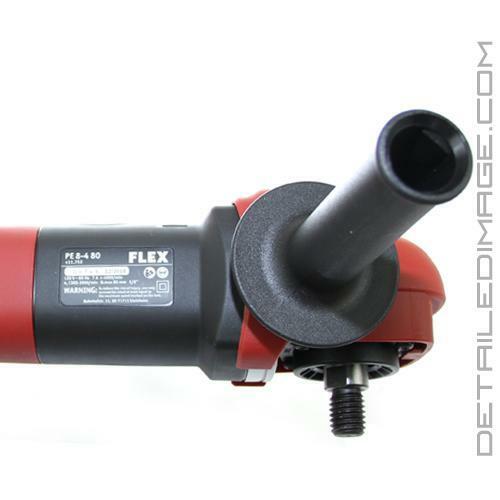 We recommend using the FLEX PE 8 Kompakt Rotary Polisher with the Lake Country 3" Rotary Backing Plate and 3" pads. This is a great addition to my larger Flex unit.. Great quality! !